A new exhibition curated exclusively for OXO has appeared on our Restaurant walls. This collection of abstract paintings by award winning fine artist and sculptor Elaine Zaple Gulliver was inspired by the infinite connections that make up our human lives. She draws on the rich experiences she has had from living and working in diverse cultures around the world. Currently working as an integrative arts psychotherapist, she is trained in both talking and art therapies. Whether exploring the more serious issues facing the human condition or purely enjoying the beauty of creating, she employs a broad range of materials and genres; she finds the world within art, as in life, to be far too exciting to ‘put in a box’. In the immediate aftermath of the Grenfell Tower disaster in North Kensington, London, on 14th June 2017, Elaine set up Art Therapy West, in partnership with the charity ACAVA, for people affected by the fire. 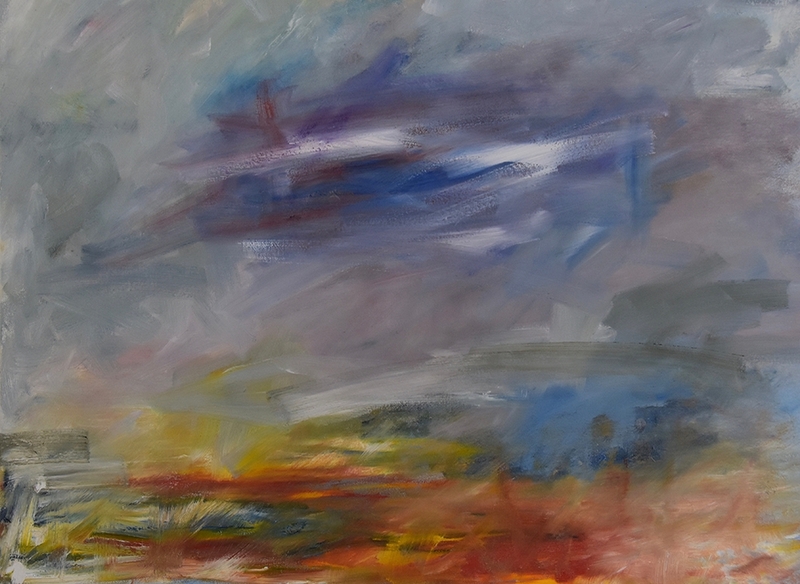 For this series of paintings, Elaine focused on human connectedness. Working with community trauma on such an unprecedented scale at Grenfell, she found that she kept looking skyward. Pondering on this, she reflected that whilst land, rivers nor oceans connects us at the same time, the sky surrounds us all wherever we are on the planet. This profound connection can embody a sense of hope and peace. This exhibition is dedicated to the 72 people who lost their lives in Grenfell, 18 of whom were children, to the bereaved and to all those who continue to suffer from the consequences of the tragedy. 12.5% of sales will be donated for Art Therapy at Grenfell.